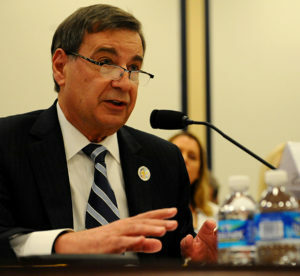 Greg L. Zacharias, the chief scientist of the Air Force, testifies before the House Armed Services Committee on Capitol Hill, Nov. 19, 2015. The subject of the hearing was advancing the science and acceptance of autonomy for future defense systems. The chief scientist of the Air Force testified before the House Armed Services Subcommittee on Emerging Threats and Capabilities on Capitol Hill Nov. 19. During his testimony, Greg L. Zacharias spoke of the Air Force’s vision for autonomy in future defense systems and the goal to have effective teams of humans and machines work together effectively, efficiently, predictably, and robustly. Zacharias testified there are three strategic objectives embedded in this vision. 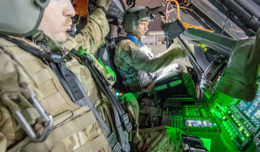 First, develop sensors and data gathering technology that can provide the needed information for a system to better understand its operating environment and mission goals. Second, develop reasoning systems and software environments to assess situations and make recommendations or decisions. And lastly, refine different ways of carrying out the recommendations and decisions. 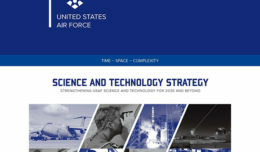 “The payoffs include a greater ability to prevail in an increasingly tested environment, over greater ranges and time spans, protection of Airmen in dangerous and harsh environments while increasing mission effectiveness, reducing the time to conduct time-critical operations, providing increased levels of reliability, persistence, and resilience, and, finally, reducing manning costs,” Zacharias said.